For a vehicle that looks like it hasn’t changed much in 40 years, The Jeep Wrangler has an awful lot of history. Of course, today the Jeep brand makes the Grand Cherokee, the Liberty, and other SUVs in addition to the Wrangler, but for the purposes of this story, we’re going to refer to the Wrangler, and all of its predecessors, simply as Jeeps. Sorry, lovers of the Commander. 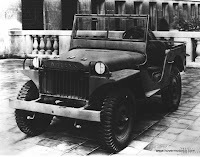 Most people know that the original purpose of the Jeep was military use during World War II. 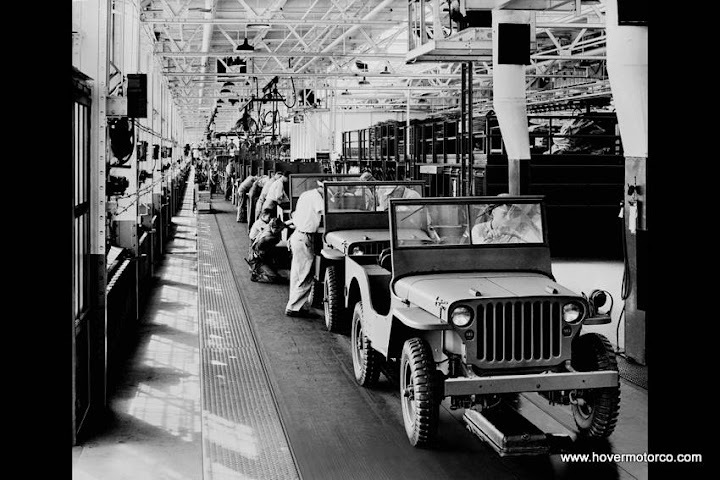 What you may not know is that the first Jeeps didn’t all come from the same company. The government invited darned near every car manufacturer to submit a proposal for a specific, lightweight off-road utility vehicle. Three stepped up to the plate; Bantam, Willys-Overland, and Ford. Bantam cranked out a prototype in only 49 days, presenting it in 1940. Willys-Overland and Ford turned out shortly after with their versions, which all looked surprisingly similar to the Bantam. Being late to the party turned out to be the way to go, though, because all three companies ended up being awarded the initial contracts. The Ford version was called the GP, which most people believe stood for “General Purpose”. Say that G and P together fast, and it sounds a lot like “Jeep”, which is as good an explanation for the name as the ones that say it was named after a character on Popeye cartoons, or it’s a special government code or something. Anyway, the Ford was also called the Pygmy, and it was powered by a tractor engine. Ford ended up building 277,000 of these vehicles for the U.S. Army. Bantam’s dog in this fight was called the Model 40 BRC. Bantam was known for making small, lightweight cars, so this type of vehicle was a natural for them. 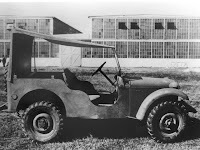 As we said before, Bantam designed the first jeep, but Ford and Willys-Overland had full access to the prototype. Bantam did end up fulfilling a government contract for some 1,500 units at great expense to the company, but in the end, they were squeezed out by the competition. The Willys-Overland version would eventually become the Jeep we know and love today. They built 368,000 of them. They trademarked the name “Jeep”, and eventually set out to produce and market them for civilian use. Where Ford used their vehicle as another cog in the war machine, Willys-Overland looked at it as their business for years to come. The efforts of these three companies were an integral part in the outcome of World War II. 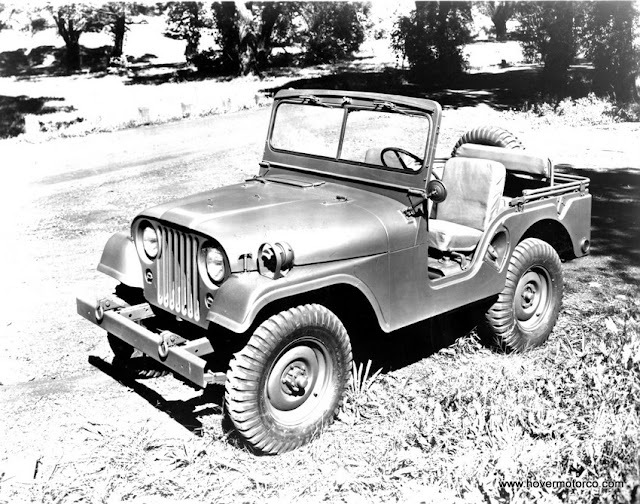 In 1945, Willys-Overland brought their first civilian Jeep to market. 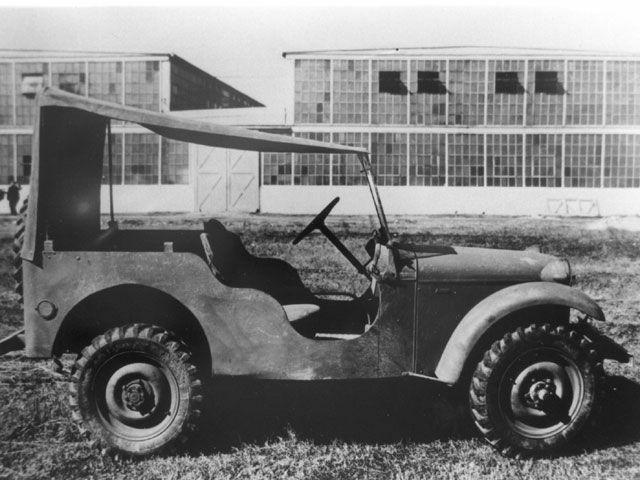 Known as the CJ-2A (the “CJ” designation stood for “civilian Jeep”), it was intended for light-duty work around farms and construction sites. 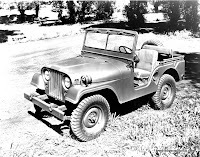 Of course, servicemen returning home knew of the off-road capabilities and durability of these vehicles, and they helped germinate Jeep’s reputation for recreation. 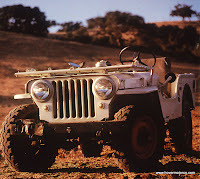 Willys-Overland was sold to Kaiser in 1953, and they set-out to broaden the product line beyond the original concept. 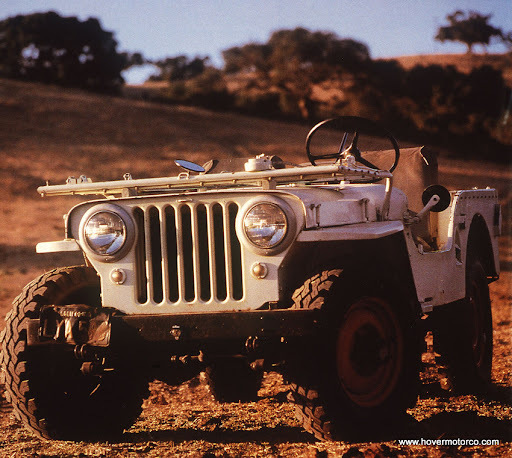 A slightly larger Jeep, known as the CJ-5, was introduced in 1954, and it had an amazing run of 31-years, being discontinued in 1985. 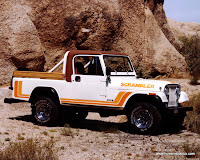 During that time, several innovations and options were added to the Jeep portfolio. Kaiser was purchased by American Motors in 1970. In addition to the venerable CJ-5, a longer CJ-7 was introduced in 1976, and a really long, almost pickup-like Scrambler came on the scene in 1981. 1987 was a big year in the history of Jeep. 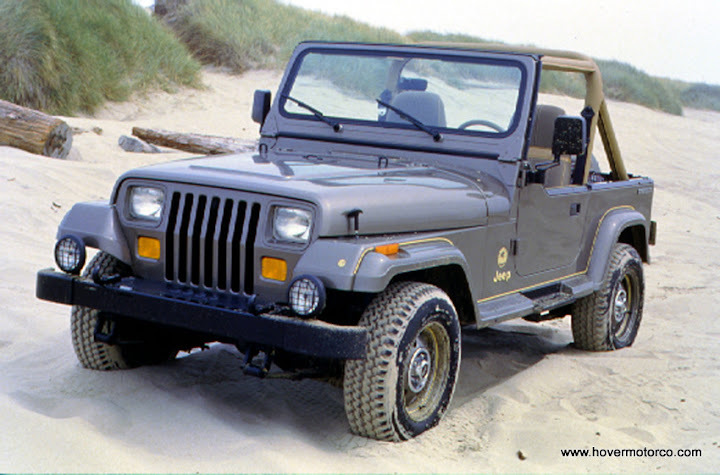 The CJ line was completely discontinued in favor of a significantly larger, much more civilized vehicle known as the Wrangler. People were a bit surprised by the size, but even more controversial were the square headlights in place of the familiar round units. 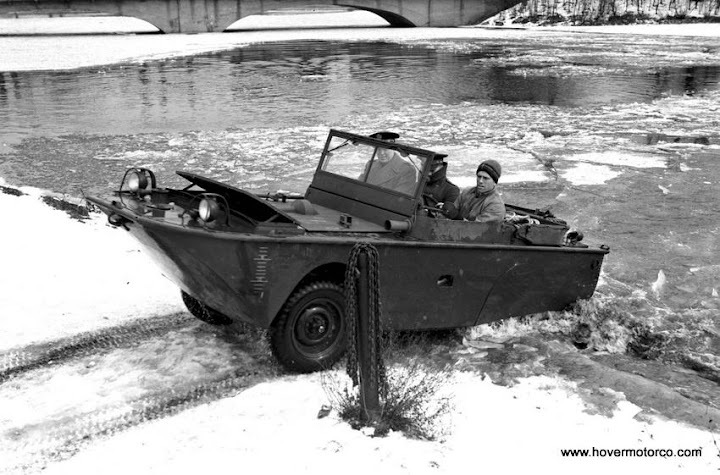 We still have a variant of that vehicle to this day, although the square lights didn’t last long. Later that same year American Motors was purchased by the Chrysler Corporation. 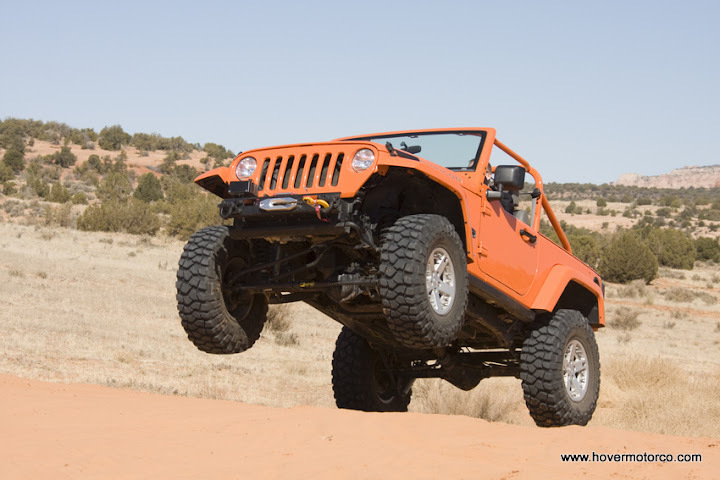 Chrysler has updating and massaging the Jeep Wrangler ever since acquiring the company in 1987. Today’s Wrangler is still a very crude vehicle relative to most new cars and trucks, but legions of fans still appreciate it for its superior off-road prowess and high fun factor. In spite of their all-American persona, Chrysler is presently owned by Italian automaker Fiat. 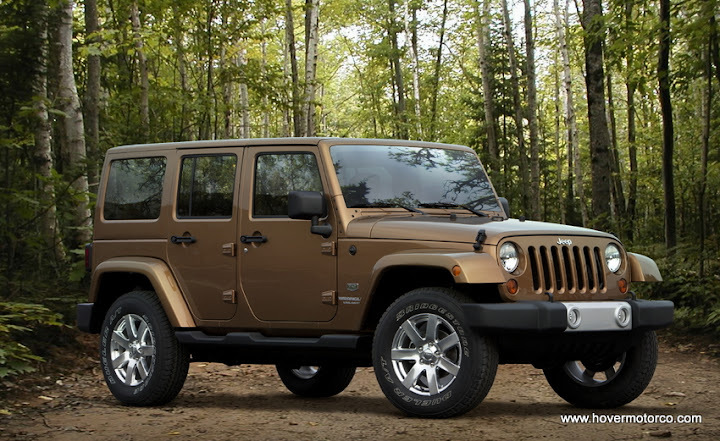 As a brand, Jeep continues to cling to their heritage, however, and the 2011 lineup included a fancy, 70th Anniversary Jeep Wrangler Unlimited. Jeeps have had several roles in their 70 years—from war hero, to light utility, to the world’s most popular recreational off-roader. But the basic concept still remains; carry out a specific purpose in the best manner possible. The Jeep still follows its orders, just as it did for the boys in World War II. The slideshow below is full of media beauty shots of the Jeep from its beginning as a wartime tool to the current recreational version. Most were provided by Chrysler, but there are a few early photos from the Ford archives as well. Jeeps can look pretty cool in pictures, because they like to catch them climbing rocks and splashing through creeks and stuff. Check ‘em out. Gotta love jeeps...thanx for the slideshow.